Enter both your cover message and accent color choice. MESSAGE: Max 50 characters, type NONE for no message. ACCENT: Blue or Gray. Charmbooks lets you capture all the memories from baby's first year! 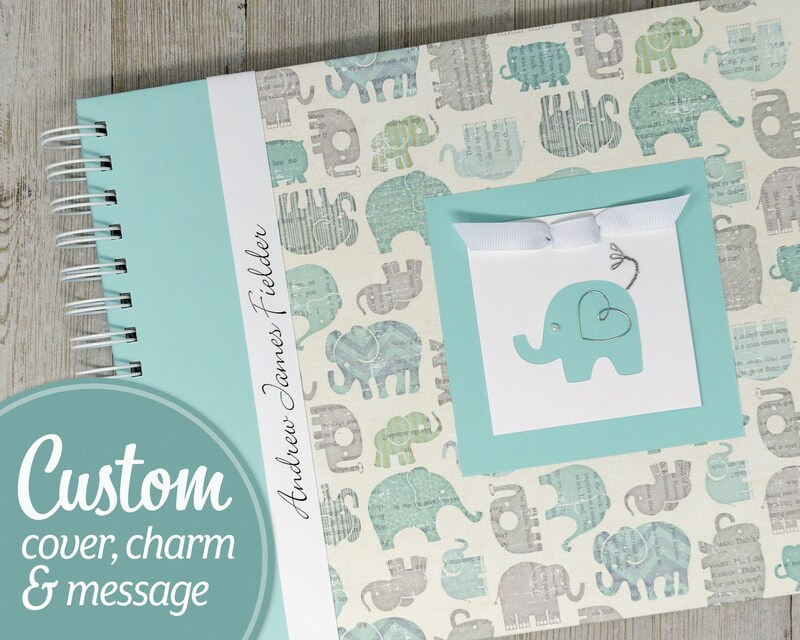 This personalized baby memory book features a Blue Elephants pattern and includes your choice of charm and accent color. If you like, other patterns are available in my Etsy shop. 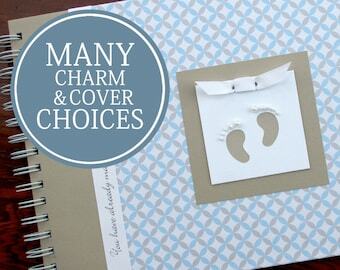 Choose an accent color for the left side of your cover and behind the paper charm: Blue or Gray. Exactly as described! Prompt service and fast delivery. Beautiful keepsake for years to come. Highly recommend! This baby book is absolutely beautiful! Anne Marie made sure it was exactly the way I wanted it before she made it. She also sent a hand written note thanking me for my purchase. She got the book done super fast and shipped it right away. I definitely recommend these books!